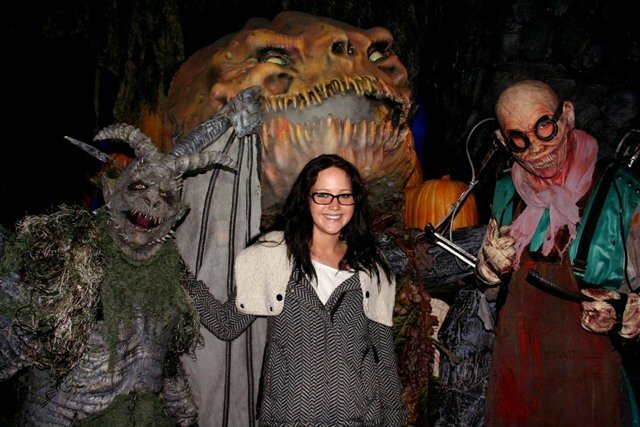 I hate haunted house rides. Hate them in that I always want to do it and then when I’m doing it I always want to leave. Is it a control thing? Is it because in a haunted house you don’t feel like you’re in control? I don’t know. 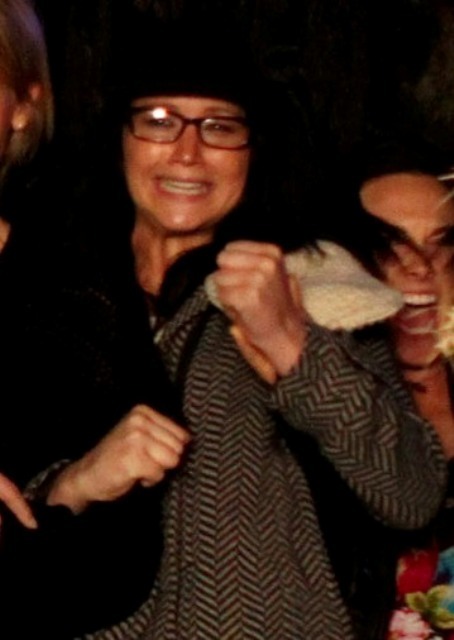 Because I love roller coasters. And it’s not like you’re in control of a roller coaster. And I’ve bungeed, and there’s no control there either. 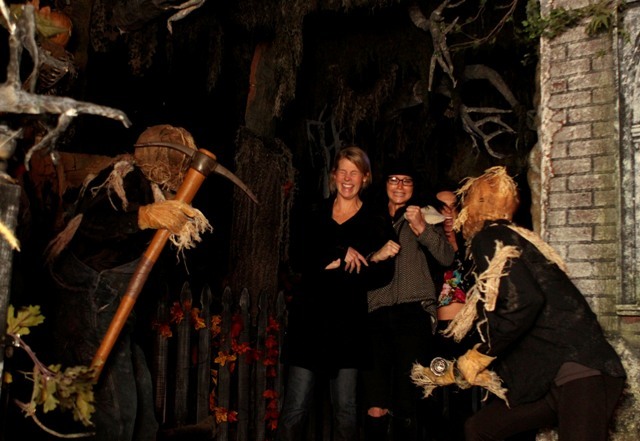 We took our nephews and niece to the amusement park this summer and they really wanted to go through the haunted house. The sign on the door said it didn’t open for another two hours. We never went back and I never reminded them and I am not sorry. 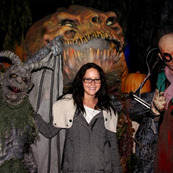 Anyway, here’s a super cute Jennifer Lawrence at a haunted house in Atlanta where she’s been working on Catching Fire.